The University of Florida, College of Veterinary Medicine and the Florida Fish and Wildlife Conservation Commission are organizing the Florida Marine Mammal Health Conference as a collaborative effort – and we invite you to join us. Marine mammals are a vital part of our global environment, and your attendance and sponsorship of the Florida Marine Mammal Health Conference will identify you as a leader in promoting the health and welfare of these magnificent animals. The conference will also provide you with a valuable opportunity to exchange vital information with top experts from around the world about the care and management of marine mammals, marine mammal transport, marine mammal strandings, emerging diseases, environmental hazards and numerous issues affecting their health and safety and survival of the species. Demonstrate your organization’s ongoing commitment to promote the well-being of marine mammals and join us in the effort. As a participating sponsor of this conference, you will. . . 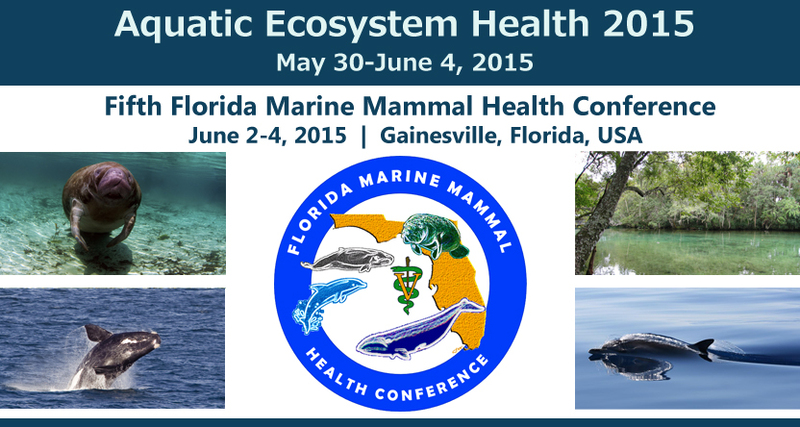 Learn about the latest advances in marine mammal health issues. Learn about new technical approaches to marine mammal biology. Network with colleagues from around the world and share your knowledge, experiences and information. Establish connections and form collaborations with other companies as well as educational, scientific and governmental institutions represented by conference attendees. Be involved in discussions to set priorities promoting the health and welfare of marine mammals around the world. Meet potential clients and forge new business relationships with specialists in marine mammal health care. Increase brand recognition, generate exposure and enhance awareness of your company’s product on an international level. Reinforce your organization’s visibility in the marine mammal health care arena as a featured sponsor on the conference web site with a link to your organization’s home page. Education is the greatest tool available to protect marine mammals and their ocean homes from future damage, and to engage the next generation of global citizens. Communicate your organization’s interests in these worthwhile objectives by supporting this conference and advances in marine mammal health. Contact Thomas Waltzek (tbwaltzek@ufl.edu) or Mike Walsh (walshm@ufl.edu).